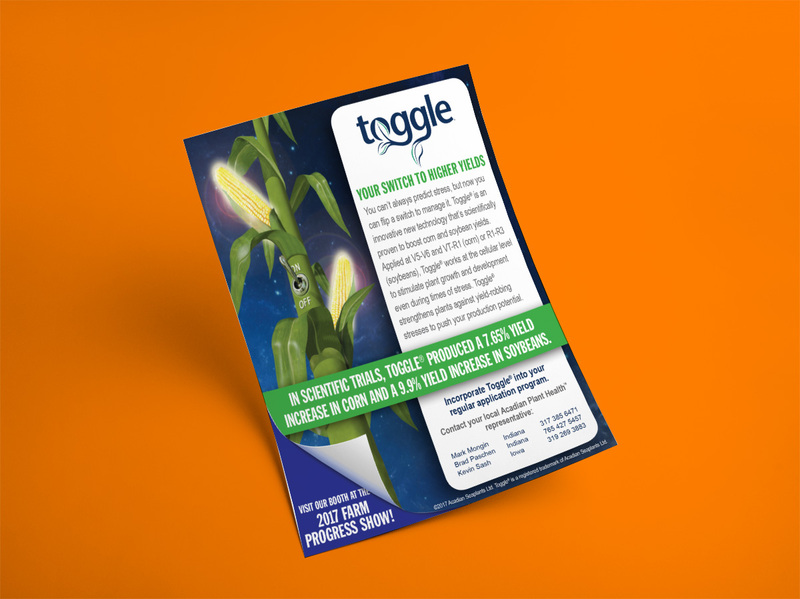 Acadian SeaPlants knew they needed to cover every angle of Toggle® - a new biostimulant that helps growers produce higher years in row crops - in order to catch the attention of potential U.S. customers and boost sales and profit for the company. So they turned to McD to help build the brand and share the story of their product with corn, soybean, and potato growers. Because this was a brand new program, McD started with concept testing, making sure targeted growers understood the program and that it delivered a solution they desired. We helped develop the name, logo and slogan concepts and developed product labeling. Then, we continued building their brand with a product launch at farm and ag/chem shows and a public relations campaign (complete with new research findings, case studies and white papers). 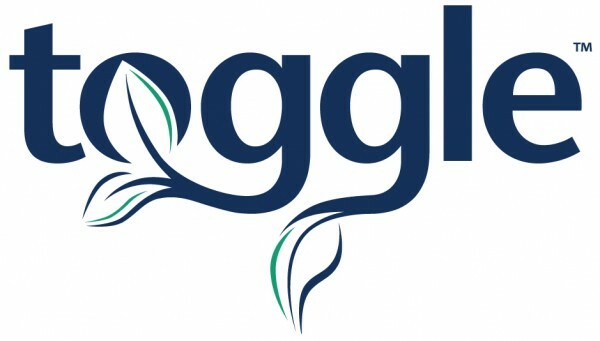 McD created an extensive print and digital media strategy to launch Toggle to growers. Direct mail campaigns were also developed and timed before two key shows: Commodity Classic and The Farm Progress Show. This resulted in 13 new trial plots from interested farmers and numerous leads after each show. McD has continued to help promote the Toggle brand through powerful customer testimonial videos. These shared experiences show firsthand how Toggle has helped farmers grow and improve their business and profit potential.